Why do we need a data lake lead developer? 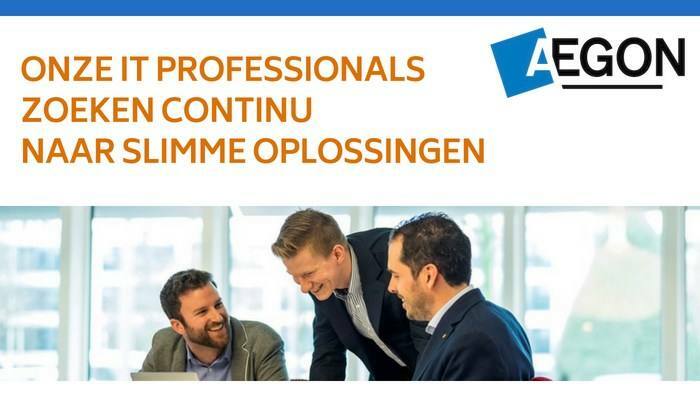 The Aegon NL Business Information Services (BIS) department provides the IT solutions to drive the Aegon strategy. We are implementing new technologies to implement our vision: “By providing fit for purpose information, we empower information consumers”. These information consumers are our consumers, business clients, intermediaries, regulators and also internal employees. Within BIS the data lake DevOPS team is responsible for ingestion of data and publications of information. This team collects all relevant data into a data lake, publishes information for consumption in web and mobile apps through API’s and provide real-time data for prescriptive analytics. All this is based on cloud (AWS) technology using serverless architecture and CI/CD wherever possible. The data lake DevOPS team needs a lead developer who is able to sustain the existing solution architecture and bring the data lake platform to a higher maturity level. We search for candidates who are able to create a difference in a complex IT environment by providing innovative ideas and using new technology. The lead developer reports to the product owner data lake and to the responsible software architect. Translate the solution architecture into working code. This includes near real-time data ingestion into a data lake, publish data to consumable information by micro services and BI and analytics. Present solution to product owner, product manager, enterprise architect and other (business) stakeholders. •Next to that a monthly flexbudget of 16.7% of your monthly salary. •A good work/life balance including a minimum of 27 vacation days. •An excellent pension plan and discounts on Aegon products. Please send your application for Data Lake Lead Developer at AEGON in The Hague including your CV via our website.